All our intumescent paint products have been tested to relevant European or British Standards. The products have been designed for ease of application and are water borne for environmental and handling considerations. Fire resistant or intumescent paints and varnishes will create a barrier against fire by forming a foaming char layer above substrates such as timber, steel or plaster. Chemicals within the coating react to heat by creating bubbles of inert gas which are strengthened by both the paint’s own polymer and additives. This non-combustible meringue type layer insulates the substrate and increases the time it takes for the fire to penetrate through. In the case of steelwork, this insulation keeps the metal cool for longer, extending the time it takes to collapse. Intumescent paints are usually rated by time (i.e. 30, 60 or 90-minutes resistance). Customers often think these coatings protect the substrate for the specified time, but this is not the case. The time given is the time it takes for the paint and substrate to fail (i.e. for fire to go through a treated door). Generally intumescent paints will need to comply with EN1364, EN1634 or BS476 Parts 20-23. In the UK only EU and BS standards are recognized. US standards such as UL and ASTM as well as some DIN and others may not satisfy the requirements of UK building standards. Intumescent and fire retardant coatings should not be confused with heat resistant paints, which perform a different function. Prospective users should also check that the fire retardant varnish or paint will impart the protection to the surface on which it’s applied. In some cases, although the paint itself is fire retardant, it isn’t a fire retardant treatment for the substrate. When intumescent paints are used to protect structural elements, such as beams and columns, the test should take into account not just the insulation and integrity criteria, but also the load-bearing capability. This is especially the case with paints used to treat structural steel. All fire retardant paints, coatings and varnishes have to be independently tested by accredited laboratories with no commercial connection to the producer. 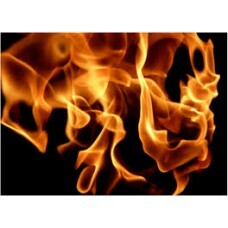 All of the coatings and fire retardant liquids supplied by ACS have been independently tested. S92/FR is a single-pack fire retardant paint or varnish, which, when used with the correct protective lacquer can protect both interior and exterior timber, such as cladding. S92/FR can also be used with proprietary topcoats such as pre and acid cat lacquers, so is useful for high quality panel finishing. FC0 is a clear waterborne impregnating fire retardant treatment for bare timber. Unlike some other treatments, FC0 can be used on softwood, hardwood and modified timber such as Accoya and Thermowood. Once dry, FC0 doesn’t require a protective topcoat although it can be used in conjunction with the ACS Woodbead to give added protection and resistance to water and dirt pick-up. S42/01/E and S42/02/E are white (01) and clear (02) intumescent paints suitable for use as both fire retardant and fire protection coatings. Providing certain criteria are met, both systems are capable of providing not just Class B (Class 0&1), but 60-minutes protection to exterior timber cladding and 30-minutes insulation, integrity and load-bearing capacity to timber beams and floors. S105/SPC is a microporous water-based paint, used to increase the fire resistance of skimmed or skimmed and painted plasterboard. Two coats applied to 12.0mm ceiling board or 9.0mm wall board will give 60-minutes fire resistance. The product can be used with a number of different topcoats to give a fully decorative finish. This system has also been independently tested on lath and lime plaster to give 74-minutes insulation and integrity. S83/ISC is a relatively thin-film, smooth intumescent coating system for application to new, primed and previously painted steelwork. It offers protection for up to 90-minutes depending on the size and orientation of the steel and is suitable for both on and off-site application. There are a range of protective topcoats available, which allows both interior and exterior application. 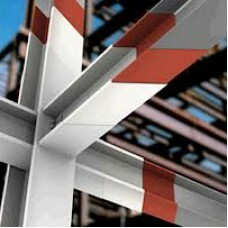 S83/ISC can be used to protect a wide range of structural steelwork, including RSJ, UB, UC, PFC and hollow steels.